We all have those amigos, right? Those cherished friends who find joy in absolutely anything they do together? 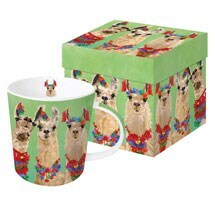 Celebrate that special camaraderie via these joyful Amigos Mugs and napkins. Three adorably inquisitive ostriches, pleasantly snooping giraffes, or good-naturedly interested llamas make the perfect audience for your coffee-drinking/literary/chatting-with-friends activities. 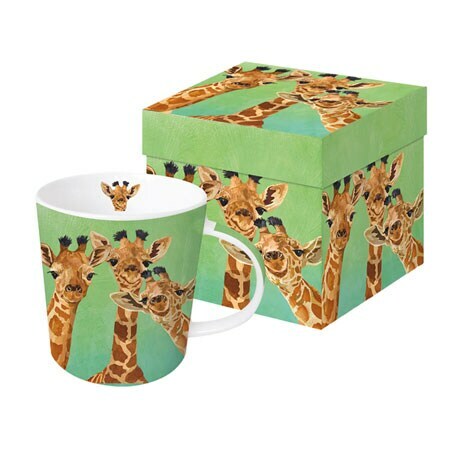 Each 13.5-ounce new bone china mug comes in a cute and reusable gift box. 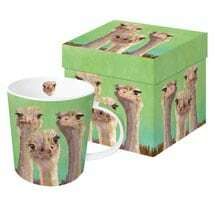 The coordinating Napkins - ostriches, giraffes, and llamas - measure 5"x5" and come 20 per set.